Pre Wedding Shoot was something that we did not have and I have always wanted a casual couple's shoot. I always looked forward to having a maternity shoot and it was a dream come true for me. 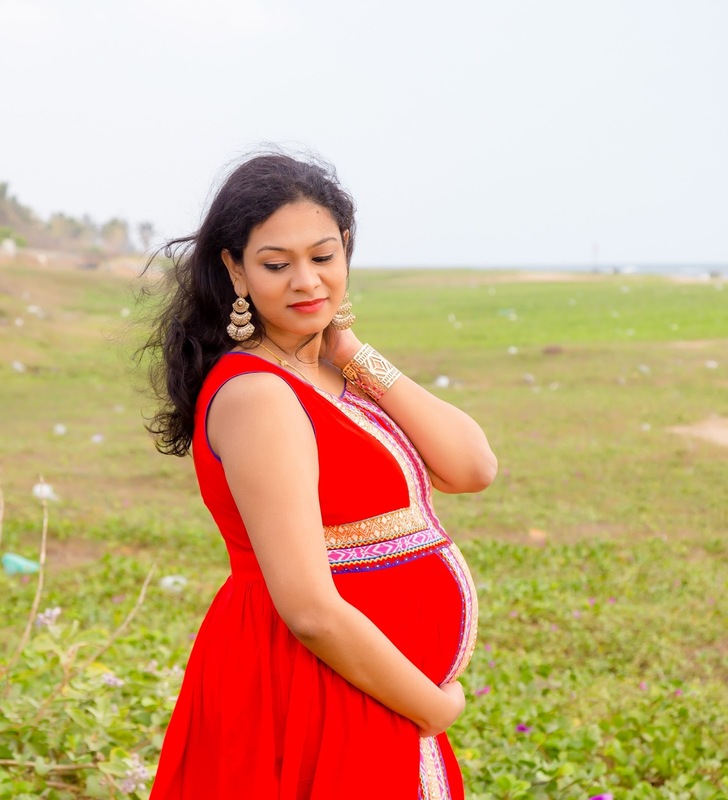 We did our maternity shoot with Nevervoid Photography and the shoot took place in ECR, Chennai with the beautiful beach and a beach house as the backdrop. 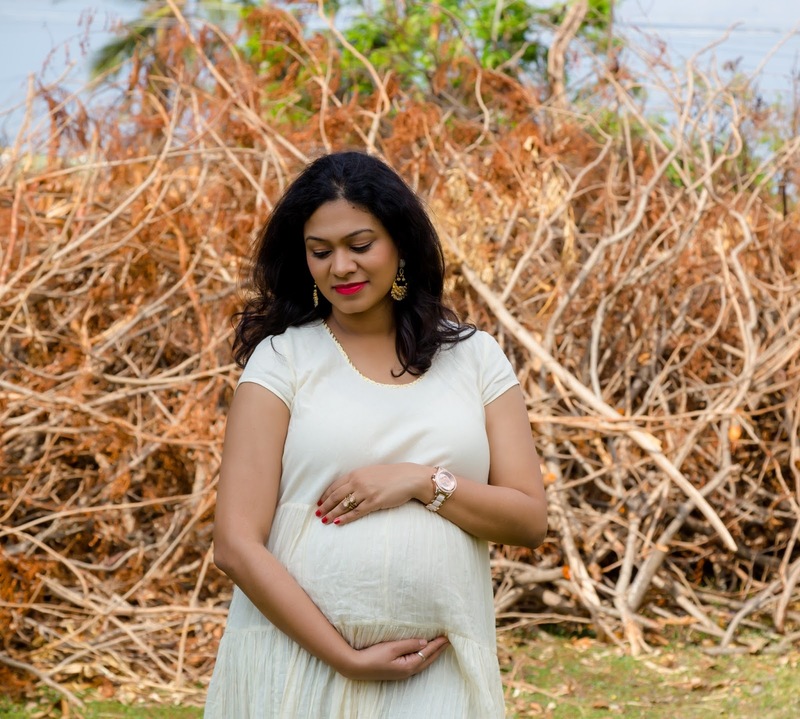 Our photographer allowed us to change 3 outfits, however, we decided on 2 outfits because it can get quite tiring when you are 31 weeks pregnant you see. 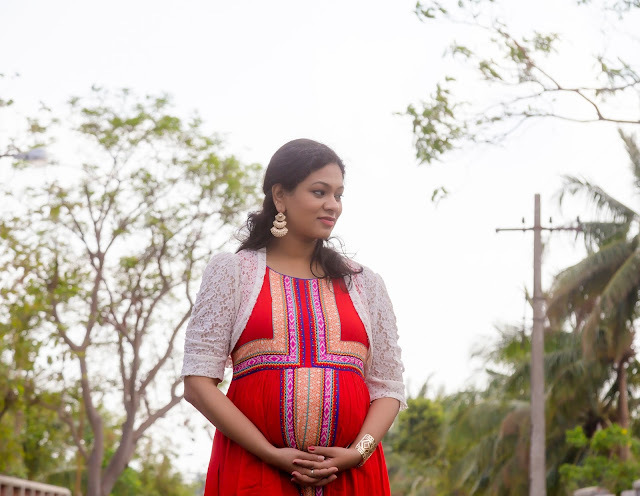 I chose a simple cotton dress so that I would feel comfortable for the shoot since it was an outdoor shoot and pregnancy makes you sweat a lot. It is important that you look happy and vibrant and do not become exhausted.The material was breathable and soft against my skin and showed off my bump really well. I kept the accessories minimal as well with a golden cuff, simple long earrings, and a tiara. 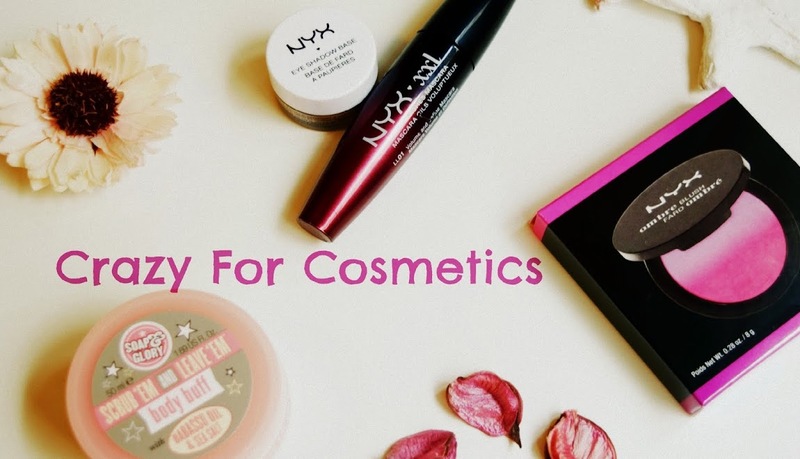 I did my own makeup and it was simple, matte finish and long-lasting makeup. You can schedule your pregnancy photo shoot around 33 or 34 weeks for the ideal bump picture. My husband insisted that I pick up a designer label for the second outfit and this was purely his choice. He loves white/cream/beige and he chose this cotton white maxi dress with a golden border which was a western silhouette with Desi fabric. The dress was very comfortable but at the same time it did not show off my bump well because it was not body hugging. We purchased the dress when I was around 24 weeks pregnant and assumed that it would get tighter when I reached 31 weeks but my bump grew bigger only in the last few weeks. 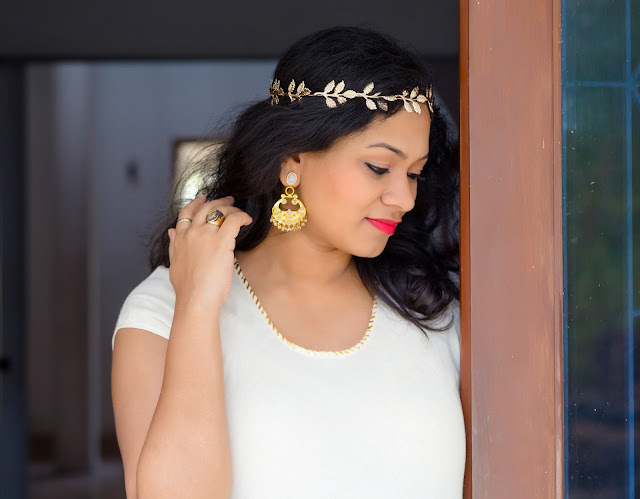 I wore a Moonstone studded pair of earrings from Amrapali for this outfit and retained the golden cuff and wore my River Island Watch as well.